Now one can hope that Greenfire can do its do and get the ball rolling with the old CCB tower, though I’m not sure that a hotel is what’s needed at that spot. What I’d love to see is more properties developed for business incubation. he Herald-Sun – Chesterfield partners sell bonds in time. 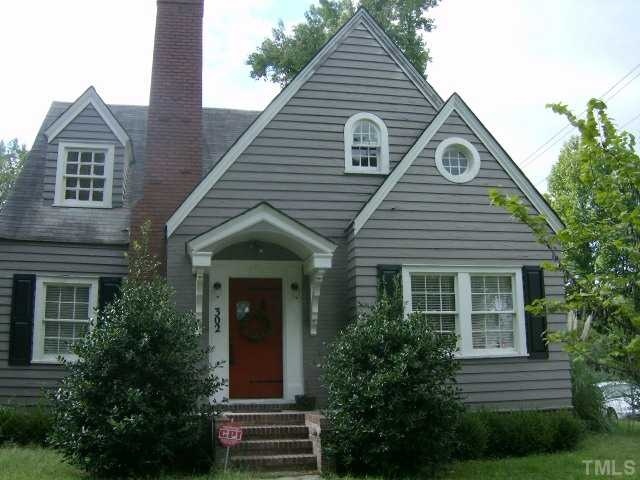 In 2005 302 Pekoe Street was listed for sale for $93,000 and it sold for $105,000 and the seller the Historic Preservation Society of Durham paid $5000 to connect the property to services and $2000 in buyer closing costs. I was called in 2009, in the fall to look at the property and prepare a market survey for the purpose of listing and selling the property. At that time the owner related to me that he had to sell the house in the neighborhood of $149,900 to pay it off. He had been given all sorts of home equity money in the house by Bank of America. The property had not been completely renovated. The kitchen was incomplete as were the baths, the second floor drywall and the landscaping. 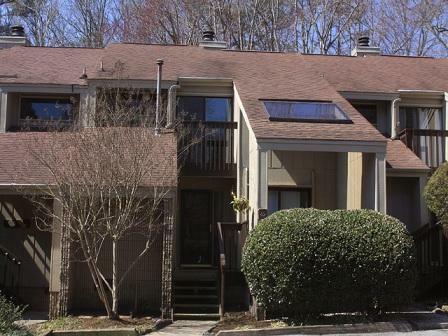 The home is in a nice area within close proximity to NCCU but the neighborhood has never been financially stable since most of the population is hourly workers subject to the whims of a changing economy. At that time the house had been listed; the agent and owner started the price at $177,000 and had incrementally dropped the price down to $166,000. My market survey at that time fall of 2009 indicated that the owner would be LUCKY to get $80,000 for the property and I indeed thought that tax value would be a more appropriate listing price, that being $69,986. It was my opinion that this property at 302 Pekoe Street, Durham NC 27707 was NEVER worth what the owner had paid for it, let alone what Bank of America had lent out on it. Furthermore it was my opinion that both Bank of America and the now previous owner had speculated as to the value of this property. 302 Pekoe Street is now in foreclosure at a list price of $59,900. This is a lot of foreclosed property coming onto the market. This will further drive pricing down I believe. Fannie, Freddie Double Number of Mortgage Modifications | NewsGeni.us. There really is only one way for home building to go and that’s up. I certainly don’t expect gang busters now or in the near future. Credit is the difficult topic and with projections in interest rates spiking sometime in 2011 this will further cool the building industry. Realty Times – Real Estate Outlook: Builders Regain Optimism. I recently read a home inspection report which was the most evasive report that I’d ever seen. The report itself was very nice, full of photos and general observations but when it came to some the meat and potatoes, I was very disappointed. Thankfully I didn’t encourage the buyers to use this inspector. The inspector noted that the home has aluminum wiring, not in and of itself a problem, especially since the house has copper pigtails. What was disturbing is the inspector refused to comment as to whether the terminal connections to the breakers and bus bar are secure and functioning properly. All of this done with the panel box open and with enough time to snap multiple photos. I guess he couldn’t put his fingers on the wires; no danger here if one touches just the insulation and jiggle them a little to see if they are loose. The same true with the breakers. The home inspectors recommendation; hire an electrician to evaluate. The inspector did a political dance to the left. He took the fifth and passed a very expensive buck. The same was true of some water stains in the house. He wouldn’t say yah or nah to whether or not there were active water leaks in this home. He said, get a plumber and investigate further. I imagine that a moisture meter placed on the spots and running the water at full force during the inspection didn’t cross this guys mind. That’s what other inspectors do; so that they can then say, ah ha here’s a water leak. To be fair to this fellow, he did find a lot. However this side stepping at over $300 for a townhouse home inspection is unfair to the buyer, the seller and the agents involved. This is exacerbated too by his sarcasm and hostility when I asked him about the homes grounding, breaker box, wiring and “plumbing leaks.” I was told in no uncertain terms to read the whole report and reference all of the links he’d placed in it. Reading the report and following the links are all admirable and well spent time tasks but those tasks still don’t answer the questions left begging, are the bathrooms leaking? Is the electricity working properly?